PlayBook Consulting Group is a Hawaii-based management consulting firm that transforms organizations, improving performance and increasing the capacity for meaningful impact across Hawaii, California, Oregon and Washington. We are known for our specialized expertise in strategic planning, leadership development, change management, and cultural transformation. Our approach goes beyond the typical consultant relationship, empowering and supporting clients to confidently turn insights into actions that create lasting change. With over twenty years in change management, Leslie is an expert in strategic planning, leadership development, and employee engagement. Each year she and her team partner with more than 25 corporate clients, government agencies, and nonprofits, driving strategic planning and organizational development projects. Leslie is a collaborator and facilitator with the Aspen Institute’s Ascend program, developing and implementing national policy and designing change management initiatives within government agencies to break the cycle of poverty. 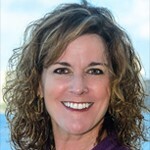 A 15-year Maui resident, for nearly a decade she worked with Cisco Systems, Inc. managing global programs with teams distributed around the world. She partnered with Cisco’s billion dollar customers to understand the far-reaching changes required to move the business beyond its limitations. She created and managed a consulting department within Cisco that provided internal strategic planning and change management services. Her team engaged Cisco’s IT and business teams across the supply chain, realizing savings of over $400M annually. Leslie has been honored with the Pacific Business News Businesswoman of the Year award and the “Forty Under 40” award for outstanding business and community contribution. She has been recognized as the U.S. Small Business Administration’s Financial Services Champion. Leslie was recently awarded a prestigious Omidyar Fellowship in leadership. The program empowers a cross-sector collection of experienced and innovative senior leaders partnering to build uncommonly effective organizations across Hawaii.